This post is a duplicate of My computer boots to a black screen, what options do I have to fix it? but has not been marked as so. Answer the question & it should get marked. Down vote the question & it will be deleted it time. 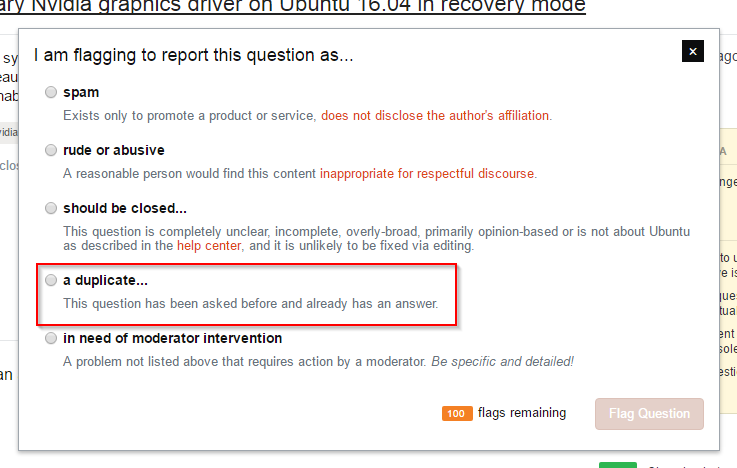 Comment to the user to delete the question. Flag it for moderator attention. I don't want to down vote it just because it's a duplicate question. What should I do? Should I just leave it alone? I would like advice for future questions. The correct action to take is to flag it. Click flag and then select "it is a duplicate". Then you can enter the URL of the other post.